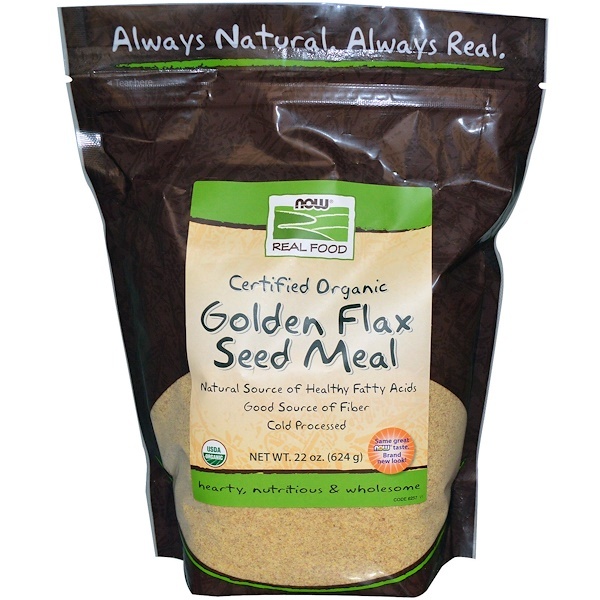 NOW Real Food Organic Golden Flax Seed Meal has a mild, nutty flavor similar to wheat germ, and it's often added to cereals, pancakes, muffins, breads, meatloaf, meatballs, and even yogurt. Golden Flax is typically lighter in color and more flavorful than dark flax. Flax is a natural plants source of healthy fatty acids and a good source of fiber. Our proprietary cold milling and shifting process does not grind, crush, or liberate the oil, unlike typical flax processing, giving our products a longer shelf life. 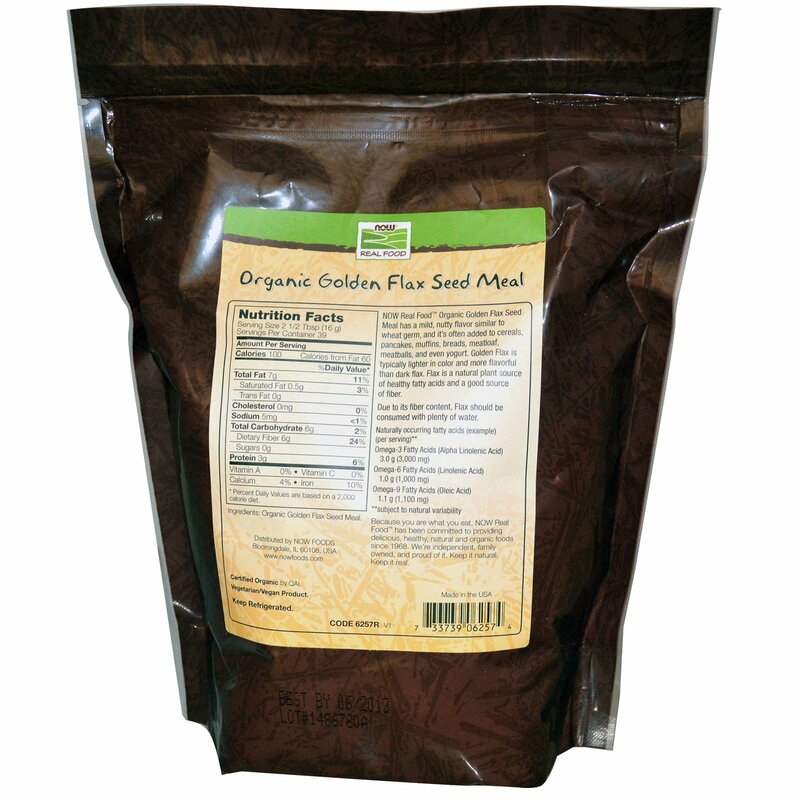 Organic golden flax seed meal. Due to its fiber content Flax should be consumed with plenty of water.